Gerlingerstraße, Berlin, Germany. Reported 12th June. According to the Mayan calendar, 12th June 2016 is a day with the Solar Seal “Blue Eagle” and with Tone 6. 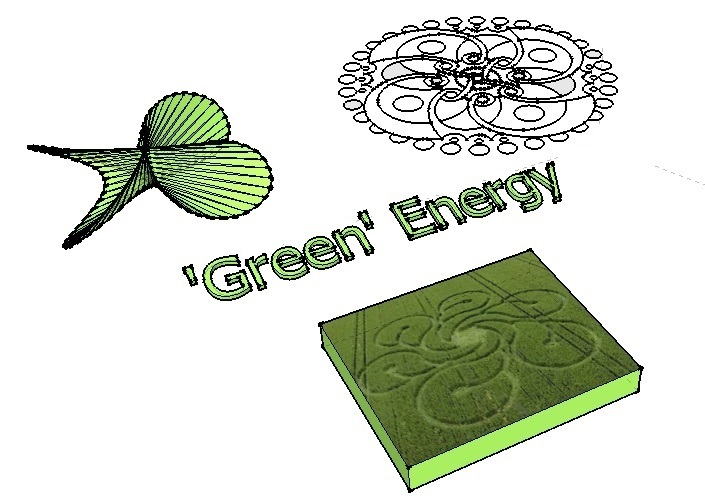 In my opinion, on the crop circle are depicted these energies: Blue Eagle and Tone 6. These 6 eagle's heads represent the energy Blue Eagle with Tone 6. The blue color means Transformation. 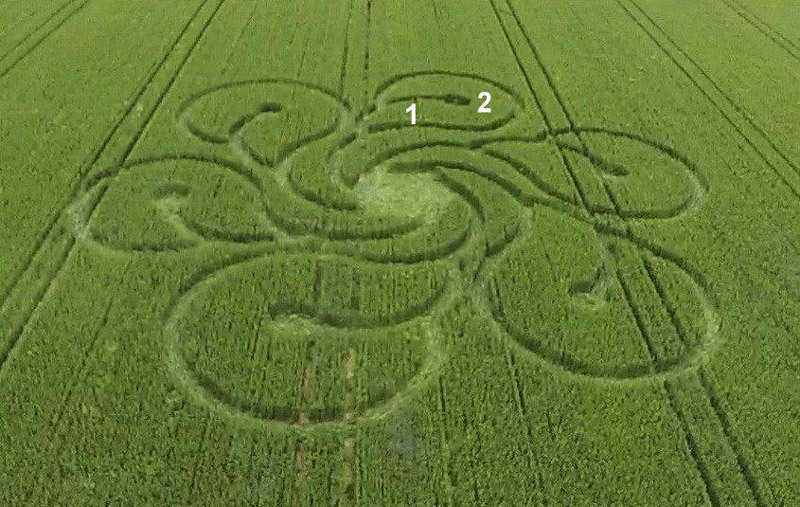 In the center of the crop circle we see 6 figures, which resemble a rotating wheel. On this way is symbolized the Blue Energy of Transformation. 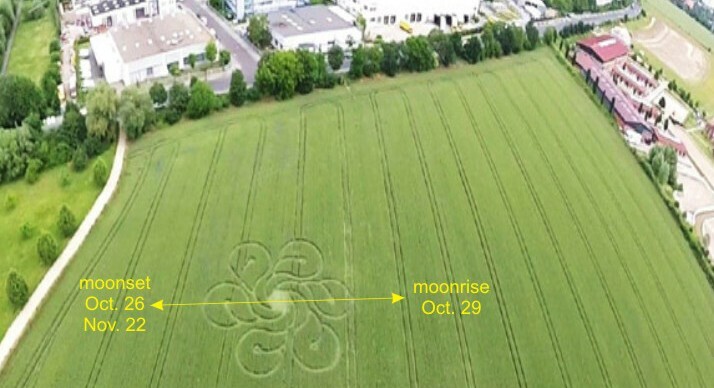 - The formation contains 6 “crescent” moons again, although as part of a different pattern. - The formation was created on a day that was characterized by an alignment of the moon, the lunar north node and Jupiter in syzygy. 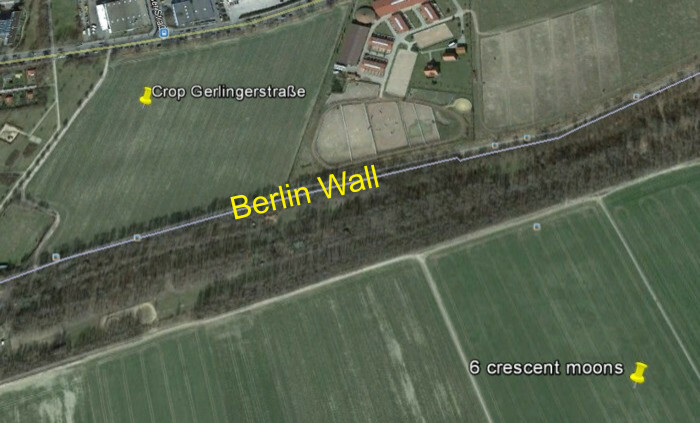 - The formation was at the former Berlin wall, but this time it was found at the other side of the wall in West-Berlin (see figure).!! It stands for “die neue Wende”: the new turning point, again. The fall of the Berlin wall on November 9, 1989 meant the liberation from old structures that did not work out. The same will happen in the same time of the year in 2016. After die neue Wende, walls between different classes will be broken down and class divisions will belong to the past. In my opinion, this can only be accomplished by a revolution that involves biblical death and resurrection of mankind. The resemblance with the moon and lunar nodes is most striking. Hence, on the one hand the formation tells us to count 6 draconic months ahead in future. This refers to November 22, 2016, two days before a moon-Jupiter-conjunction (like on the day of the formation). 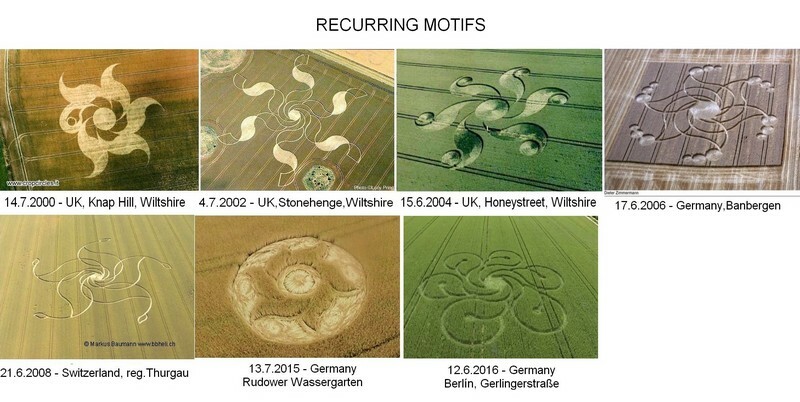 On the other hand, the formation is clearly related to the previous formation, which means that the formation refers to October 26, 2016 (conjunction of moon with the north node) as well as October 28, 2016 (moon-Jupiter-conjunction) again. It is very likely that by November 22, die neue Wende, the new and great turning point, will be in full swing. Great Cycle, erected: February 13, -3113 to August 11, -3113 (proleptic Gregorian calendar): The lunar nodes are the positions where eclipses take place. A total solar eclipse at the lunar north node happened on April 4. This happened exactly 5737 × 12 draconic months (or ((240 – 1) × 24 + 1) × 12 draconic months) before the formation’s date. Note the relationship with 12 and 24 (2 and 4 times 6), although sometimes with a difference of 1. Just four days earlier the moon passed Jupiter. During the time span between this event and the formation’s creation date, the interval between successive transits of the moon through Jupiter passed by 17 × (7 × 24 – 1) × 24 times. Hence, again there is the relationship with the number 24. This time span also closely approximates 12 × 59 times the interval between two successive transits of Jupiter through the lunar north node. Industrial age, erected: March 19 to July 16, 1756: This was preceded by a total solar eclipse on September 6, 1755, with an alignment of the sun, the moon, the north node and Jupiter! The time from this event until June 12, 2016 (formation) corresponds with exactly 6 × 6 = 36 times the time interval between successive transits of Jupiter through the lunar north node. In 2016 a solar (annular) eclipse will take place on approximately the same date, namely September 6. The orientation of the formation is shown below and confirms the relationship with the earlier suggested dates (October 26 to 28 and November 22). 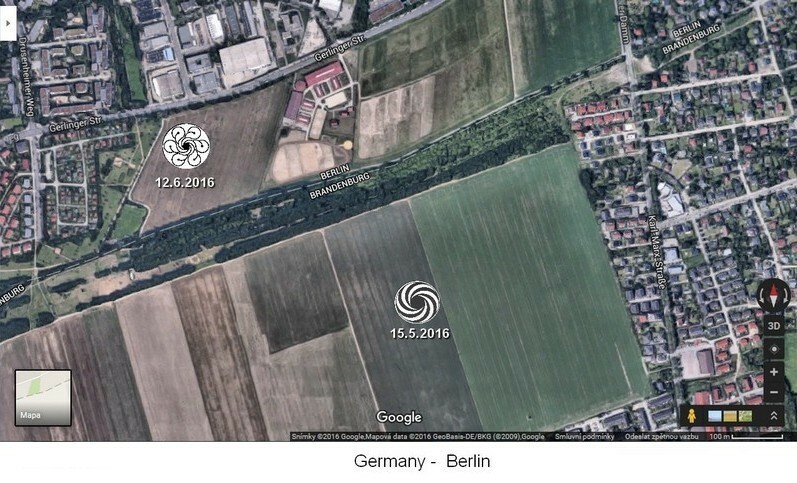 The German crop circle apparently predicts an extremely powerful eruptions on the sun. These eruptions can have significant effects on both humans and technology on Earth.